Arash here. We can’t believe that after almost 8 weeks, our stay in Guyana is coming to a close. Throughout these 8 weeks we have become better friends, learnt a great deal about the society and culture in Guyana, and have gained a new perspective on many of the challenges we face in life. This experience will certainly be one that we will cherish for the rest of our lives! During our last week here, we tried our best to experience and learn about the Guyanese culture as much as we could. That is why we asked the ladies working at our guesthouse to teach us some traditional Guyanese dishes. We had quite the tutorial and learned how to make boulanger choka, chicken curry, and roti. I must admit that making roti requires a lot of skills and a high threshold for pain as the roti needs to be clapped fresh off the pan with bare hands. This past weekend, Beth and I decided to go to Berbice and visit Joe and Alyssa. It was so great to get out of Georgetown and to see other parts of this beautiful country. The road to Berbice was very scenic, being dominated by cane fields and coconut tress. Letter Kenny, where Joe and Alyssa were staying, is very different than Georgetown. It is much smaller, quieter, and has its own unique culture. After our arrival on Saturday afternoon, the four of us visited a women’s shelter near Letter Kenny. The shelter houses women ranging from 4 to 17 years old who are homeless or orphaned. This was Joe and Alyssa’s first time visiting the shelter and the purpose of our visit was to create a new connection so that next year’s PEs can start teaching there once they arrive in Berbice. We spent the afternoon playing many games with the kids including monkey in the middle, cricket, duck duck goose, soccer etc. We all had so much fun and I am sure that next year’s team will absolutely love teaching at the shelter. Playing “Dog and Bone” with the kids at the women’s shelter. On Sunday, before Beth and I returned to Georgetown, we decided to cook for Joe and Alyssa and show them how to make boulanger choka and roti. Surprisingly, we managed and the the food was delicious (though not as good as the one the ladies at Rima make). Later that afternoon we said goodbye to Joe and Alyssa and returned back to Georgetown. During our trip to Berbice, Beth and I were able to see how the Berbice project works and the great job Joe and Alyssa have done. Given that it is a pilot project, Joe and Alyssa have managed to make many new connections and partnerships and have made QHO a household name. I am sure that next year, under Beth and Joe’s direction, the project will further grow and will be able to reach out to more community members. On Monday morning, we traveled to Lusignan to hold our last lesson at the Valmiki Vidyalaya school. It was very sad saying goodbye to our students as they were very respectful and receptive to our lessons. Many of the students even brought us gifts and gave us personal speeches and thank you’s. Later that afternoon, we set out to find some manatees as we could not find any at the Guyana National Zoo. 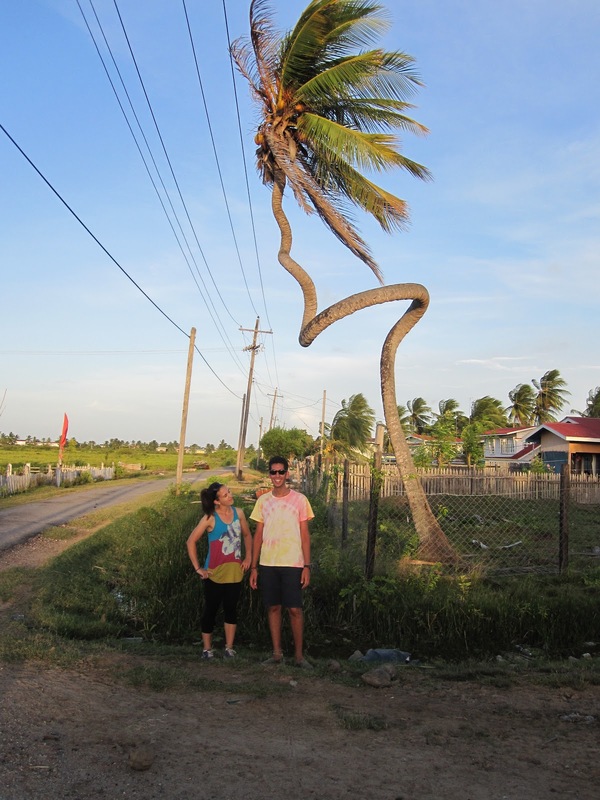 This was another attempt to get the most out of our stay in Guyana. Luckily, we were able to spot a few manatees at the National Park and had the best time playing with them. On Tuesday, Sydney and I did our last lesson on Mental Health at the Reyaz Business Institute (R.B.I.) and said goodbye to our students there. This was a bitter sweet moment for us as we were very sad to leave but we were happy that we got the opportunity to teach our largest class of approximately 130 students who learned so much from us. We were both presented with R.B.I. hats and speeches from the class prefects. It was so great to hear how much of an influence we had on these students’ lives in the 5 shorts weeks we were there. The headmaster of the school, Mr. Rayez Hussein, thanked us many times and has even invited us to make an appearance on his morning television show tomorrow. We are so excited that QHO is getting so much publicity this year and cannot wait to talk about QHO’s history in Guyana and what we have been up to the past 8 weeks on his show. A section of Sydney and Arash’s class at R.B.I. Finally, today, Beth and I taught our last lesson as PEs to our Grade 5-6 class at Monar Educational Institute. It was during this lesson that it finally hit me that our job as PEs is done. But I am so grateful that I have had the opportunity to be a part of this great journey and reach out to so many people. There is so much to look forward to in the upcoming year as many of us will move on to new positions within the executive team and we are excited to see the Guyana project further grow and excel within this upcoming year. Posted in Biceps, Georgetown, Guyana, QHO.